My 8 year old Aspie also has ADHD and Oppositional Defiant Disorder [ODD]. I can deal with the ADHD and the Aspergers …it’s the ODD I am having a hard time with. How do deal with it and what works with dealing with this disorder? What do you do as far as discipline? We are at our wits end with this part of his diagnoses and would love some advice. Oppositional Defiant Disorder, also known as ODD, is a psychiatric behavior disorder that is characterized by aggressiveness and a tendency to purposefully bother and irritate others. A. A pattern of negativistic, hostile, and defiant behavior lasting at least six months during which four or more of the following are present: often loses temper, often argues with adults, often actively defies or refuses to comply with adult requests or rules, often deliberately annoys people, often blames others for his or her mistakes or misbehavior, is often touchy or easily annoyed by others, is often angry and resentful, is often spiteful or vindictive. B. The disturbance in behavior causes clinically significant impairment in social, academic, or occupational functions. C. The behaviors do not occur exclusively during the course of psychotic or mood disorder. D. Criteria are not met for Conduct Disorder, and if the individual is age 18 years or older, criteria are not met for Anti-social Personality Disorder. • Learning Theory: ODD comes as a response to negative interactions. The techniques used by moms and dads and authority figures bring about the oppositional defiant behavior. • Developmental Theory: ODD is really a result of incomplete development. For some reason, ODD kids don't master the tasks that other kids master during their toddler years. They get stuck in the toddler stage (2-3 years old) and never really grow out of it. Treatment is particularly important because kids with ODD are also at high risk for criminality and antisocial personality disorders in adulthood. Establish a schedule for the family that includes specific meals that will be eaten at home together, and specific activities one or both parents will do with the Aspergers child. Exercise and relax. Use respite care as needed. Give the youngster praise and positive reinforcement when he shows flexibility or cooperation. Offer acceptable choices to your Aspergers child, giving him a certain amount of control. Prioritize the things you want your youngster to do. Set up reasonable, age-appropriate limits with consequences that can be enforced consistently. Stay involved in things other than your youngster with ODD, so that your youngster doesn't take up all of your time and energy. Take a break if you are about to make the conflict with your youngster worse. This is good modeling, so be sure to support your youngster if he decides to take a time-out to prevent overreacting. Try to work with other adults that are involved with your youngster, such as educators, coaches, and your husband or wife. It is important for educators to be aware of the disorders that their students are suffering from. Educators may or may not see symptoms of ODD at school. Even if the symptoms are not present at school, it is helpful to know what the moms and dads are dealing with at home. The more you communicate with the family and understand the situation, the better you will be able to help. Click here for a complete parenting-course on how to deal with the Aspergers child who also has Oppositional Defiant Disorder. Hello, our son is 11 and has always been contrary to the max, always questioning and rarely taking no for an answer without hours of explanations. Things have become much easier as he has become older. When he was young we explained everything and as he became older we began to see that it didn't matter why, it was kind of a compulsion of sorts, something he needed to do. So, knowing how important rewards are to him, we started a rewards system, giving him extra privileges and favorite foods. If things get really bad we will take away favorite things but try to avoid that. Also, it is very important that we schedule, so he knows when we will eat, when it is time for shower, even when his nails will need to be clipped (something he can't stand). I have ODD. I don't have any friends, I'm always angry, and my parents just kicked me out of the house. When people do not have children affected by Asperger's, they do not understand the web of intricate rituals, but for us, it is just an everyday thing. My main recommendations would be setting up a rewards jar or system where he can pick the reward for doing things as asked. AND, make sure there is schedule. Hopefully that helps. I believe I have ODD but as an adult it is more or less under control. As a child it was bad and what I believe is that the whole thing is a control issue. Basically "If I do what they say then they have control over me. Even if I know its right and even if I want to do it I will do everything I can to do it in my own way. This information has opened my eyes to a possibility that one of my students might have this. I have struggled with this child's emotions all year and it seems that this may be why. I have a 37 year old son who behaves in a way that mystifies me...I cannot do anything right, according to him. I have learned to not talk about anything he might turn on. I e-mail him across the house and have learned to speak to him in his language. He relates to computer talk, things that cost money and a black or white condition. Even though he is very talented and smart with the computer he is stressed when dealing with others. I hear your torment but AS people are super sensitive and smart and will accept you if you talk their talk. 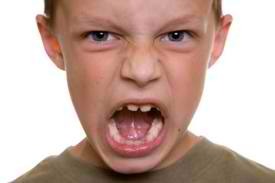 It can be difficult to discipline a child with defiant behavior but not impossible. I would look into a child behavior modification program that will give you the tools that you need when you encounter these behaviors as well as give effective consequences. Stick with it and you will be glad that you did. My son has Asperger's, and many of the symptoms are the same as those for ODD, which in fact his pediatrician tried to diagnose him with about 10 years ago. One of the differences, however, is that, aside from trying to bother and irritate his sisters, most of the time, though people are irritated with him, he doesn't realize he's doing it! His social skills are so non-existent that he fails to read cues like face and body language. Then when he does realize he's annoyed someone, it doesn't bother him because he feels that he's entitled to say what he thinks. Whether ODD, Asperger's, or any other similar disorder, parents and teachers have their hands full and really need to work together to make school a success for the student. I teach PPCD (preschool program for children with disabilities) and one of my four-year old students definitely has ODD. This little boy will decide on a toy, get that toy, and then kick it over because he didn't get it fast enough - I'll offer it to him again and he's absolutely adamant he does not want it anymore when ten seconds earlier, it was all he could yell about. He's rarely happy with what he's doing, very hard to focus and really disengaged from the rest of the class. It's definitely a learning experience for both of us as we work on finding ways to make the class run smoothly. My 17 yr old son has Aspergers and also has ODD. This is a horrible thing to deal with. No matter what we say, he will take the opposite view. One example....once, when I said I was cold, he insisted that I was not! The only thing we have found is to try to use reverse psychology. If we don't act like something is very important, then he is more likely to comply. We definitely have to choose our battles. Our priorities have changed over the years. If my son doesn't want to bathe for a week, I don't bother to argue with him anymore. The more I insist on some things, the more he digs his heels in and opposes me. When he was little, I used to physically make him do things. Now that he is 6'4" tall, it's impossible. My 9 yr old Aspie has ADHD and ODD also. He is very bright but the ODD is the thing that gets him into trouble. We've tried spanking...didn't work. We've tried loss of stuff...didn't work. The only thing that works is explaining to him what he did and what you will not tolerate. After he breaks an infraction (because he will) give him a consequence and then mark it down on a calendar. We work on a reward system that sometimes works. One odd thing...we started going to sensory integration training (at a gymnasium) and for the rest of the evening the ODD wasn't so bad. We got a report that he did great the next day in school. I'm dying to know how he does next week after the sensory training...to see if it is doing any good. One thing I've learned is that if you can stay calm and not start yelling, things are much better. This is very hard for me, because I lose my temper easily, but I work very hard at it. I wish I had some good advice for you, but this is a continuing trial for us. It's so very depressing to know that you can't control your child. Maybe a child psychologist could give you some tips on how to handle this. If you learn anything, please share with me. In my experience as an elementary teacher at a therapeutic day school, I taught several students that had a diagnosis of Oppositional Defiant Disorder. Although these students can be aggressive and require a great deal of patience, I have seen great success stories in some children. One student had a very difficult first six months. Through therapy, medication and clear expectations this student became a well-behaved and academically successful student in the class. When new students would arrive in the classroom, he would encourage them to make smart choices! It was a very rewarding experience watching him grow, learn and try to help others. I didn't know that there was a name for this. My husband (63) has ODD (or from the sounds of it does). It drives me crazy. There is a way to handle this type of disorder. It's played havoc with our marriage and communication. There's a test? My 14 year old son is the third of my four boys and the second of his father’s four children. He was diagnosed with HFA almost two years ago so that he could receive an IEP at school. He has always been a loner socially, with a few friends, always boys, until “March 31, 2010”. He was sitting outside a class looking sad and a girl asked him why he looked sad and he said, “because I don’t have any friends,” and she said, brightly, “I’ll be your friend” and took him under her wing – offering him fashion advice, grooming tips (to wash and shower) and social cues to get a girl he liked (not her) to like him back. When I met her, it was clear to me she had a big crush on him. I mentioned he was cute and she said, “He’s hot.” Over the summer her mother (a single mom) drove the 35 miles to our house so they could visit on a regular basis and even occasionally (once at her suggestion) camped in our yard to watch the stars. This is all to say – the friendship was mutual. The girl actually kissed Kieran, my son, and that freaked him out as she had told him her father said he would kill anyone who dated his little girl – so he was very worried and insisted that must not ever happen again. Over time though, it was clearly a young romance and since she had been such a positive influence on Kieran, his self-esteem, and his social skills, and because she had been a solid friend for long before it budded romantically, I was relatively fine with chaperoned social get togethers. He likes the family so much that he has even asked if I were to die if he could have her mother as his guardian. He is very close to the mother and texts and talks with her every day as well as the girl. A week ago – her mother called to let me know that they wanted to take a step back to “before kissing” because the girl felt too much pressure from Kieran. He literally couldn’t get out of bed for two days and was pale with worry, trying to define what that means. The mom has stayed in daily touch – called me to check on him a couple times and to let me know what was going on. Kieran is looking for some sign of hope and is obsessing about this. He’s failed two classes (at the midquarter) and we need to be sure he doesn’t do something stupid (to himself more likely than the girl but still, I am concerned). I have concerns that the girl is being fickle or playing games, but also, that she is trying to “teach him a lesson”. I also have concerns that he would do anything to spend time with her…he’s even asking us about Christmas Eve. He’s not seeing a therapist because we don’t have health insurance and I am only working half time. We are dependent on his step-dad. But clearly – we need to find him some support. I have no idea if I should allow them to spend time together, if I should insist they cut it off entirely. Her mother said he wanted them all to go to a movie and I advised her that the girl should only go if she REALLY wanted to go – and not because Kieran was pressuring her. I can’t even talk with him about this – he insists a) he doesn’t have Aspergers and b) that they can be “just friends”. I feel that is a bit like trying close Pandora’s box. Anyway – no idea who to talk to here –clearly we need to get a support system in place for him and us. We never really thought about that before because he was such a loner and we were such a big family that he seemed well loved and secure with us…but clearly, that was a mistake. Demographics of family...Mom and Dad have been married 25yrs,5 kids ranging 23-10 yrs.Oldest son(23) could have Asperger's.17 yr b/g twins and 10 yr g/g twins.We are a lower income family.Strong family values.All kids are very high achievers and do extremely well in School. 17 yr twins are both quiet and find social interactions hard but do manage.10 yr twin sister is very intelligent but tends to detail talk way too much.23yr son is socially awkward and prefers to be alone most of the time. #1 question is of course in regards to the 10 yr aspie girl. Big question ....what do you do when your child wants to be a wolf and hisses and growls at classmates .She says she is doing this to protect herself.Now in the 5th year of school this causes classmates to ridicule her and ignite her anger.She has hit,scratched children in defense.This IS not her nature.Most of this occurs at lunchtime,PE,and recess when things are unstructured.She is now getting conduct marks for such actions.I understand that this imaginary world is their way to protect and control the environment around them.But,as a parent what do you do?The teachers have no clue either.So if you could clue me in maybe I could help her. #2 Is more of a private matter,but I assume you have heard it all.....she has this thing with her pubic hairs.She does not like it.So I try to be in attendance during her bath times but if I am not there she will shave it.What do you do?She says it's ugly and long and just does not like it. She is on Abilify for impulsive behavior,Lexapro for anxiety,topamax for migraines,and flunarizine for migraines. I would appreciate any suggestions so that I could best help her. My son is 7. He is in 2nd grade. I am so frustrated and afraid I am going to lose my son. He was originally diagnosed with ADD, ODD, and SID..and has a high IQ. He was finally diagnosed with Asperger's a couple months ago. I knew all along. Besides the normal troubles at home, he was doing pretty good until school. He has been suspended from school so many times and out of other places. Preschool daycare.. He was kicked out of for being too causing trouble by refusing to go along with things, and making loud noises, biting throwing things, kicking.. etc. Then in Kindergarden he did good until the 5ht month. Then between Jan and June.. he was suspended 17 times. First grade same thing.. He did well until the 5th month..then was suspended 19 times Jan-June. He was suspended from the bus, church, van rides, before and after school care, summer care.. you name it. Luckily he got back into church when we got a new kids pastor with a great understanding heart. He started a half day behavior health program. I put him in it so that he would not be totally taken out of school. They were talking about an alternative school, and it didnt soudn good. More like a school for bad kids.. like Juvenile. Oh.. he has a juvenile case worker..police officer already. They were actually contemplating putting him into juvenile detention. But.. since we are doing everything we can.. they didnt do it. We have had birth to three, counseling with a phychologist for children. He actually used to work for the 1/2 day behavior health program. That was located 2 hours away, so when school was in.. he was traveling 2 hours each way, with other kids, and that caused him to be kicked off that ride, and they had to get him his own. After he was kicked out of the one that was 2 hours away, they finally decided to let him into the program for behavior health close to home.. so now he has to travel 30 minutes each way. He misses half a day of school, and only started that program a few weeks ago. Last week he was suspsnded, and this week suspended for 3 days. It is only a matter of time before he is kicked out of that. My son has been talking about wanting to die since kindergarten. He stil does. I have to have talks with him about it.. he feels that no one likes him and all he does is screw up. Really? Are they really all going to just throw him away because they dont understand. At 5 my son was diagnosed with Autism (high functioning)/adhd/odd/ocd/mood disorder. The developmental pediatrician then made a circle on the paper and said its ALL Autism. The ODD part has always scared me the most- (1) because its REALLY hard, but also the fear part of it being considered a precurser to the scary stuff "anti-social", etc. He just turned 11 and his behavioural plan at school includes calling the SRO officer. I think, by the skin of our teeth we might make it through 5th grade- and then I don't know what's going to happen next. The thing is, when I'm not terrified about what is going to become of him- I actually like him. Trying to understand his point of view and getting really sensatized by his behaviour- I'm realizing how very weird and confusing "normal" social interactions actually are. Anyone else notice how very oppositional/defiant/adhd the EC department of their school system happens to be? Ever notice how strongly attached others are to their own point of view- regardless of whether it does them or anyone else any good? He pretended to be sick at school recently in order to avoid going to a DARE program (DARE freaks him out). First thought was "oh, no- not some new issue"- but then I realized how much more socially appropriate it was for him to pretend to be sick to get out of something really distressing- (as oppossed to getting anxious and obsessive and picking fights and flipping desks). I asked a behavioural/school system person to please avoid the use of the word "willful"- while trying to do this FBA. Is he willful? Absolutely. But its not going to help anything to focus on that. Everyone wants their way. He needs to learn how to do it in a more socially acceptable way. Manipulation? He manipulates a pencil when he picks it up (to do those stupid drills for the EOGs so he can prove how accountalbe the schools are)- How about instead of making him better than normal people we work on healthy, socially acceptable manipulation? I don't like the ODD description. It doesn't help at all. I do wish all of you luck and some peace and moments of joy. My son is a triplet and has two identical brothers (he is the fraternal triplet). Lately his behavior has spiraled out of control. He is refusing to complete schoolwork (previously a straight A student who has skipped a few grades) and when he does his productivity is extremely poor. He has been placed in a self contained classroom because he is not working in class (not overly disruptive) and is failing his classes. At home (and at school) he has had consequences because he is misusing the technology (computers, programmable calculators etc) and not using them to complete his work. This is a HUGE area of interest for him and it feels as though we are in a downward spiral. At home, he has made numerous attempts to break the security that we have placed on the computers. He refuses to acknowledge that he made hundreds of dollars of unauthorized iTunes purchases and was playing games at all hours of the night. We removed him from the family iTunes account which severely limited his access to most of the apps he loves. He consistently makes demands primarily related to technology and becomes irate and out of control when they are not met. He is continuously lying and will not back down even when presented with evidence to the contrary. Last night Jeremy had considerable trouble finishing up a tech article for his journalism class that is weeks past due. We offered to let him purchase one app for his phone if he finished by 9P. He did but he downloaded some odd font and it got messed up. Steve helped him out with that and the article was done around 10P. We still let him get the app with the proviso that it was disabled at night because he has his phone in his room for an alarm clock and sometimes can’t resist playing all night. He agreed. This morning Jeremy realized that he had tried to enter the pass code too many times (trying to break the security?) and the phone was locked for 1000 minutes. He is accusing Steve of this and demanding that his phone be reset. Steve refused. At this point Jeremy is at home refusing to eat breakfast and go to school. Steve and I have one clear message. The goal is no refusals and the direction is to get in the car and go to school. Beyond that we are not negotiating/discussing because once he gets like this it doesn’t do any good anyway. Steve worked at home and waited him out. Eventually Jeremy was able to figure out how to reset his phone and agreed to leave for school although he missed the first 3 class periods. We have been told by some professionals to try an inpt. stay or a therapeutic boarding school. Both are costly and with no guarantees of effectiveness. He sees a counselor weekly who feels this is all part of his Aspergers. However, his brothers are out of patience with him and this is a significant disruption to our family. My husband and I are really struggling with our 9 yr old defiance, rude behavior, and overall anger. He has been diagnosed since age 7 and I suspected he had it at about age 3-4. He has a wonderful team of educators and has many friends. He tends to lash out at mt husband and I and his 7 yr old brother. He is on Zoloft for anxiety and guanfacine ( intuniv) for add . Much of the advice we get from therapists seem to be geared at neurotypical children. We don't even know where to start as his behavior has been escalating. We are stressed and it is affecting the whole family. Simply asking him to do his homework is an all out battle these days. To add to the stress we suspect my husband has aspergers too and I feel overwhelmed trying to keep it all together. My husband is open to exploring the online parenting resource so we are hopeful that you will be able to point us in the right direction. Any guidance you can provide would be a! Ive just read your e book and think its great - thanks for writing it and putting it up online. I am looking forward to beginning the sessions. "Never believe anything your Aspergers teen tells you about how others treat her." Up until now I have thought that Aspergers kids have a strong sense of social justice and do tell the truth. This has been my experience with my own son now nearly 15. Especially in relation to bullying or incidents that occur at school. Does this change with teens? What is your thought here ? The statement in question assumes the child is exhibiting oppositional defiant behavior. It is true that dishonesty is not an Aspergers trait, but it certainly is a trait of oppositional teens. Some teens have both Aspergers and Oppositional Defiance. This is what the eBook is addressing - BOTH. Over my children's spring break I did some reading and research trying to find some answers to the difficulties my daughter is having. She has been diagnosed with ADHD, Aspergers, Severe anxiety, and OCD. She is very intelligent with an IQ over 140 but is almost failing in school. At home it is a battle to get her to do homework and she refuses to work in class - always wanting to bring her work home - so I will sit next to her while she does her work. I do not give her answers but do occasionally scribe for her in subjects like Social Studies where answers are usually lengthy. She struggles with fine and gross motor skills and whenever she knows there is a lot to be written or typed her STOP flag comes up and is a never ending battle to complete on her own. Steph will be 13 in June and was diagnosed with a more broad label at the age of 3. Just recently her developmental pediatrician stated that he doesn't think Steph has ADHD but instead her anxiety is so severe it manifests itself in ADHD type behaviors. I can not find much in regards to how to help individuals with this type of autism. Do you know any thing about PDA or who I could contact to find out more information other than the limited amount I can locate on line. I have talked with people in my area and no one has heard of this and therefore can not give me any pointers on how to help my daughter achieve the success she should be able to achieve - and in so have a better self image about herself. Any assistance would be appreciated. I find a wealth of information from reading your posts - and it never seems to fail that when as issue is sticking its ugly face into our lives you are addressing that very issue in your posts. HOW DO YOU DO IT!!?? PDA is really just the UK's (British) version of what we call Oppositional Defiant Disorder (ODD) here in the states. Many children - if not most - with ASDs also have ODD. I have several articles on MyAspergersChild.com about Aspergers plus ODD. I am having double duty. I am a guardian of a teen with these symtoms and he is court appointed and CPS does nothing but cause things to be worse. They have him counseled by a therapist who is getting their hours (trainee). I have contacted my legislator for help. Waiting on an investigation. I live in Orange County Calif. I did all the research myself to find this site. I would ask if you have any advise to please post.